Jeanette Colby, the University’s calendar editor, offers a selection of events and activities to do this weekend. Find daily information on upcoming events on the University Events Calendar at www.rochester.edu/calendar. Are you in the mood for some contemporary jazz? The Eastman School of Music’s New Jazz Ensemble will give a free concert at 8 p.m. Friday, December 9. The award-winning ensemble of Eastman students will play select compositions by legendary jazz composer Bill Holman; the premiere of the piece “Steps” by Garret Reynolds; and works by guest artist Kristen Edkins. 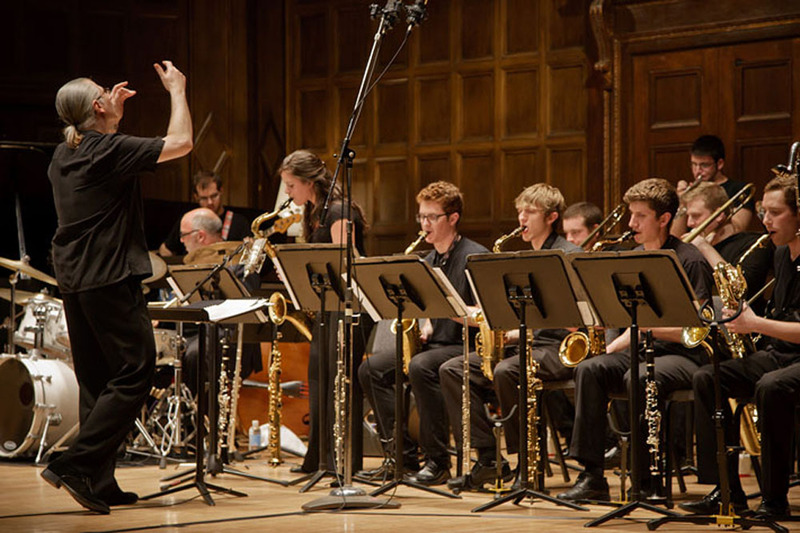 The ensemble is directed by Dave Rivello, assistant professor of jazz studies and contemporary media at Eastman. If you can’t make it to the show, the concert will be streamed live at http://www.esm.rochester.edu/live. Get ready to cheer on the Yellowjackets on Saturday, December 10. 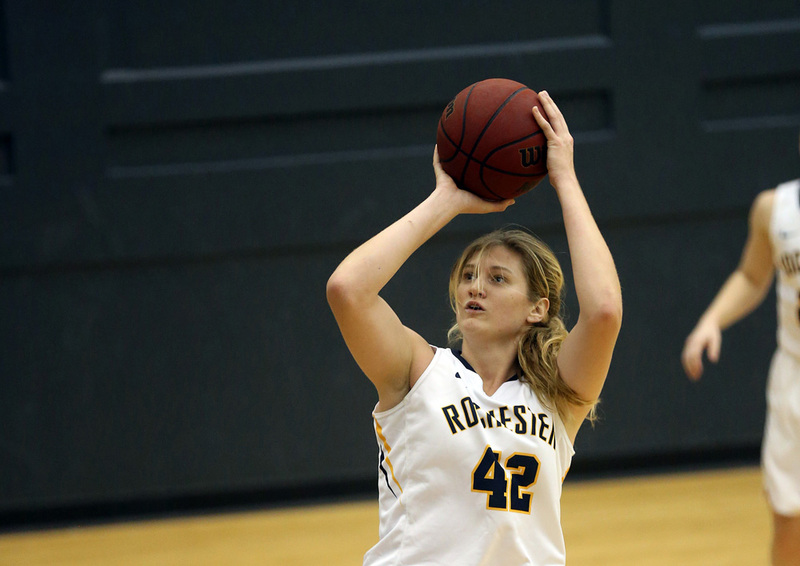 The women’s team will play a home game vs. Ithaca College at 2 p.m. at the Palestra in Georgen Athletic Center. Rochester has improved to 6-1 overall after defeating St. John Fisher and Nazareth to win the Mark’s Pizzeria Shootout last weekend. Al Leslie ’17, who was named most valuable player, needs 13 points to become the 13th player in school history to score 1,000 points. Rochester’s opponent—the Bombers, have won six of their first seven games this year. Admission to the game is free. Head over to College Town for its “Deck the Town” event on Saturday, December 10. Bring the kids for a visit with Santa Claus, hosted at the Barnes & Noble bookstore, or take a ride on the horse-drawn wagons around the shopping plaza. There will be a tree-lighting ceremony along with a performance by the University YellowJackets at 5 p.m. Make plans to visit, shop, or dine at College Town. The event runs from 4 to 7 p.m. The exhibition M.C. 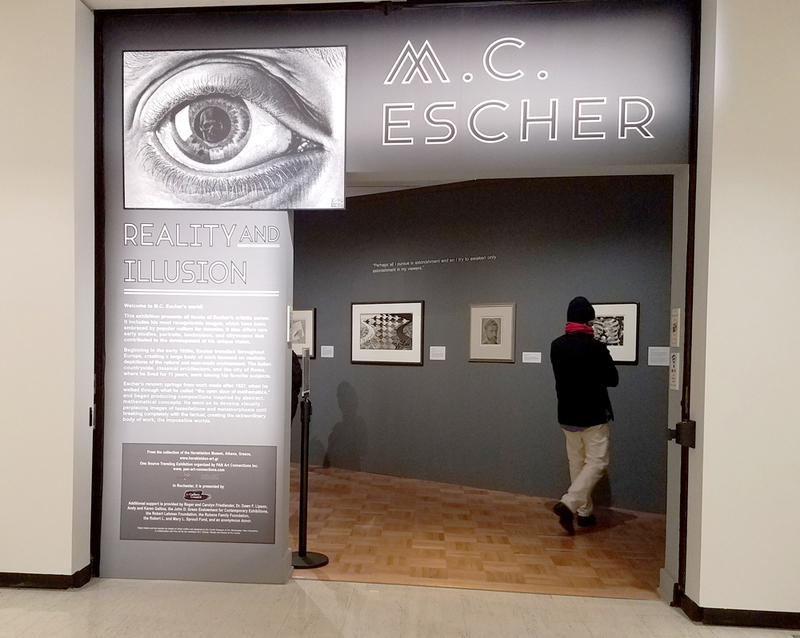 Escher: Reality and Illusion, featuring more than 100 works by the iconic Dutch artist, is on view through January 29, at the Memorial Art Gallery. See Escher’s most recognizable works in the second largest collection of his work, including a pair of hands drawing, the tessellations, and detailed Italian landscapes. Also see the Bodies in Space exhibition by Sondra Perry, part of the Media Arts Watch series of film and video installations, which is on view through January 13. Remember that University faculty, staff, and students can get a 20 percent holiday discount in the Gallery Store through December 18; admission to the museum is free with a University ID. Find information and museum hours online. 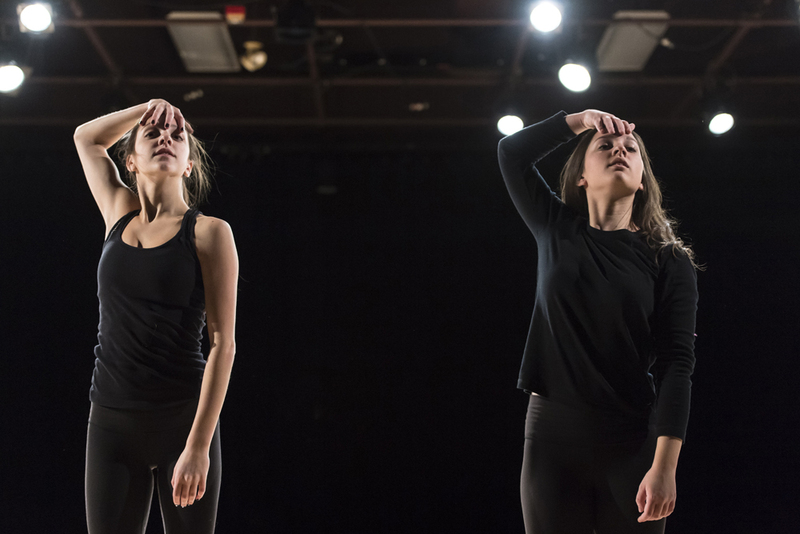 The Program of Dance and Movement presents performances on Friday, December 9, and Saturday, December 10, titled “Confluence, A Concert of Dance, Light, and Media.” The performance will feature students, faculty, and guest artists in new collaborative and multidisciplinary dance works that comment on current social issues. Highlights include premieres by Rose Pascarella Beauchamp; Missy Pfohl Smith, director of the Program of Dance and Movement; and Anne Harris Wilcox will reprise Veritas, a dance inspired by James Morrow’s book, City of Truth. The first performance begins at 8 p.m. at Spurrier Dance Studio on the River Campus; a matinee is planned at 2 p.m. Saturday, December 10. Tickets are $7 for all and are available at the Common Market in Wilson Commons or at the door. Read more.